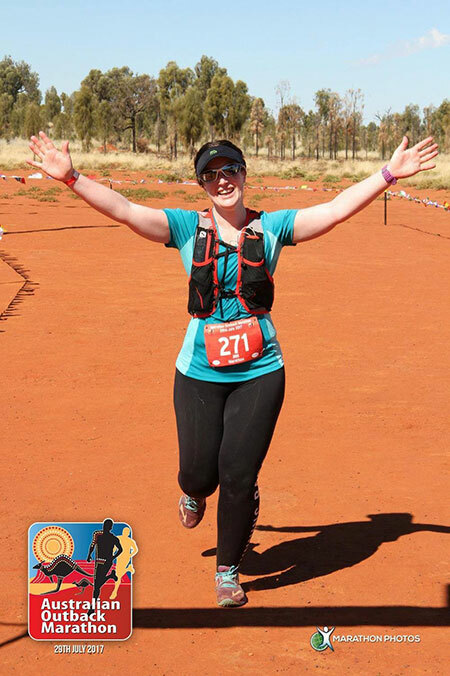 One of our customers Jess van Ree has achieved greatness this year by completing the Australian Outback Marathon. Not only is this a major achievement for anyone, but is particularly so for someone living with lymphoedema. Jess was diagnosed with primary lymphoedema 5 years ago with both legs and trunk involved. Jess has always enjoyed running and started out with 4km fun runs as a young adult till she built up her training and stamina. There has been some controversy in the past that exercise may worsen lymphoedema symptoms, but further study into this area by leading experts over the past few years is proving otherwise (read more in Volume 18 of Lymph Exchange). Jess is also testament to the fact that exercise is a great component of her lymphoedema management plan and reports that the more she moves, so does the fluid! Jess manages her lymphoedema with diet, compression garments and Medi-Rent’s LX9 compression pump for one hour daily. She also receives regular lymphatic massage from a lymphoedema therapist. 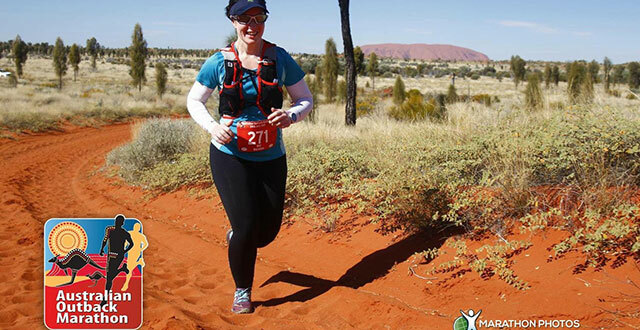 She says her LX9 compression pump was crucial to her race recovery as well as managing fluid build-up from the lymphoedema. Our biggest users of the LX9 pump are either people living with lymphoedema who need to manage their symptoms of fluid build-up, or athletes who use the pump to assist their muscle recovery and reduce the symptoms of delayed onset muscle soreness (DOMS). Jess is a great example of someone using the compression pump to achieve both benefits! We also have many customers who ask if they can take the pump on a plane. There are some great support networks for people with lymphoedema who want to exercise. One of them is the Lymphoedema Running Club. TO DECIDE IF AN LX9 PNEUMATIC COMPRESSION PUMP IS RIGHT FOR YOU, PLEASE CONSULT YOUR LYMPHOEDEMA SPECIALIST. To find out more about LX9 compression pumps click here. Sequential intermittent pneumatic compression for managing oedema and/or sports recovery. Find out more….